Car Free Means Care Free for Seniors. The newly revived Winter Park Express. All Aboard! Remember ski trains? Back in the day, trains were the way to get away from the city and into the mountains. 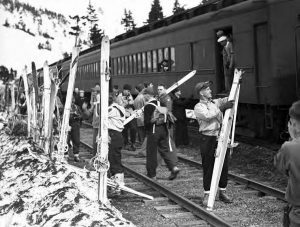 Skiers unloading in Grandview, circa 1946. 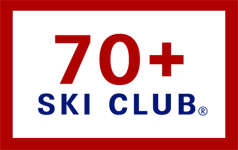 Denver skiers were thrilled last March when the ski train resumed service from Denver to Winter Park, CO, to help celebrate the ski area’s 75th birthday. Officials had ended the service in 2009 due to expense and liability. But regular weekend service resumes for the 2016-17 season Jan. 7. www.amtrak.com/winterparkexpress. Adios to I-70 and the dreaded “red snake” down from the mountains, slick roads, zero visibility, death grip on the steering wheel, leaving you wondering whether it’s OK to use the runaway truck lane yourself. Ski trains make a lot of sense for us seniors. Go ahead relax, get up and walk around, visit the dining car, arrive rested not rattled, and perhaps meet some fellow comrades to ski with. Then, on the way home, knock down a Mountain Stream Ale, no need to keep your wits about you. Plus, Amtrak offers seniors 62 years of age and older a 15 percent discount. * Leave your car at home and take the Downeaster to Portland, ME from Boston. From there a shuttle from the Bethel Inn Resort will meet you at the train station and whisk you off to Bethel and skiing at Sunday River. * Wachusett Mountain in Princeton, Mass., encourages you to “Ski the T.” New this year Boston skiers and snowboarders can take the commuter rail (ski racks included) from Boston’s North Station to the new “Wachusett Station” only ten minutes from the mountain. On weekends, a ski shuttle will meet you there. www.wachusett.com. 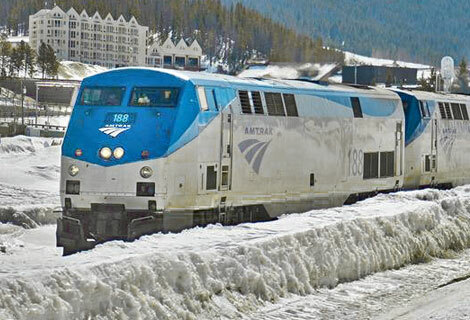 * In the Adirondacks in upstate New York, the Gore Mountain Ski Train connects Saratoga Springs to North Creek and a free shuttle bus takes skiers from the North Creek Station to Gore Mountain’s Base Lodge Friday-Sunday. That service started a few years ago after a 50-year hiatus. Does anyone remember riding this train back then? * Amtrak’s Vermonter hauls skiers and riders to Brattleboro where they can hop on the free local MOOver shuttles to the Mt. Snow base lodge or various local inns. It’s easy – just tell the driver where you need to go and the driver will be sure you connect with the right bus. * Amtrak’s Ethan Allen Express takes car-free seniors from Penn Station to Rutland, VT. The Killington Express Shuttle will pick you up at the depot and take you your final half hour to Killington. 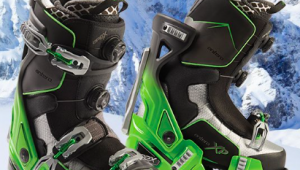 Riding the rails has a long tradition in skidom, and the appeal is still strong. Thanks to www.liftopia.com for some of these route suggestions. 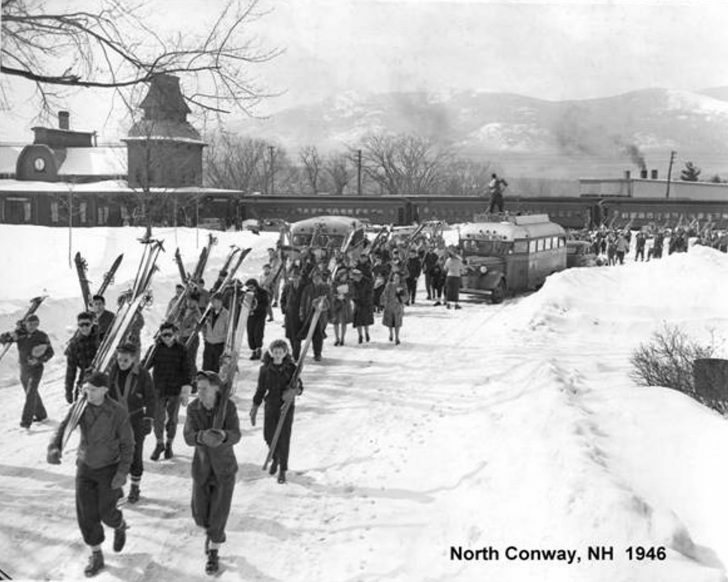 Ski train unloads in North Conway, NH, circa 1946.